MT. WASHINGTON ALPINE RESORT June 29, 2018 – High spring temperatures hit the alpine of Vancouver Island leaving only remnants of the winter season at Mt. Washington. While there are still some areas for snow play, the wildflowers are making their way up to the mountain, and the famous Vancouver Island Marmots are regularly being spotted – Summer has arrived at Mt. Washington! The Resort further announced the reopening of the Monster Mile trail, which will be accessed off the Eagle Chair, weekends starting in early August. “Monster Mile is a double black trail, its style reflects the origins of the Mt. Washington Bike Park and early downhill mountain biking,” states Director of Sports, Mike Manara. “The Monster Mile is a steep and challenging trail. 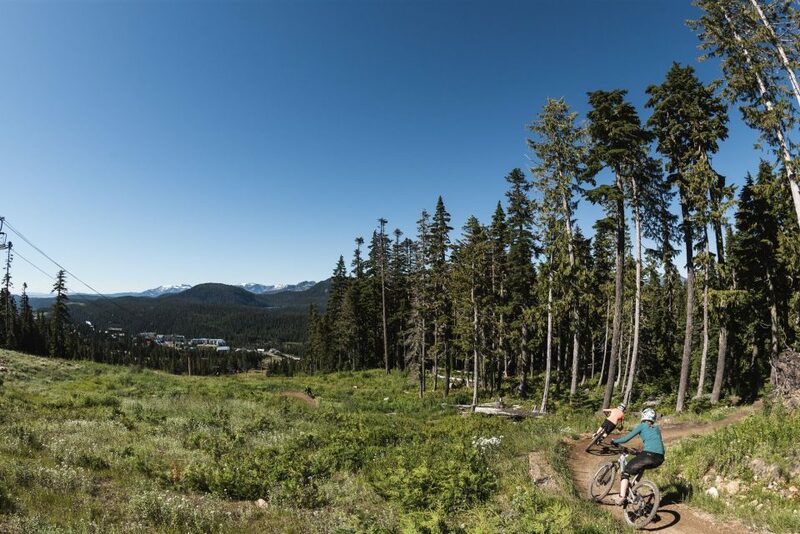 It is known throughout the industry and was selected last year as the course for the B.C Provincial Cup Finals.” Manara stated a total of 13 trails would be open for riding July 6th, including fun beginner trails and flowy intermediate trails. It’s not all downhill biking at Mt. Washington this summer; the Eagle Express is spinning daily for Scenic Chairlift Rides, a unique experience that showcases the best vistas on Vancouver Island. Guests can take in the unparalleled views of Strathcona Provincial Park and the deep-blue waters of the Salish Sea. With the recent release of the Vancouver Island Marmots by the Marmot Recovery Foundation, there is also the unique opportunity to glimpse Canada’s most endangered mammals in their natural environment. Further to hiking and sightseeing, Mt. Washington offers a range of family activities and mountain dining. Alpine activities include remarkable trail running options, high-flying bungee trampoline, family games area plus and mini and disc golf. There is also a playground for the kids and a new Alpine Courtyard – the ideal spot to enjoy a meal surrounded by spectacular mountain vistas. For more information on the early opening, festivals, events, and the full summer schedule visit mountwashington.ca.